Enjoy nature with confidence. 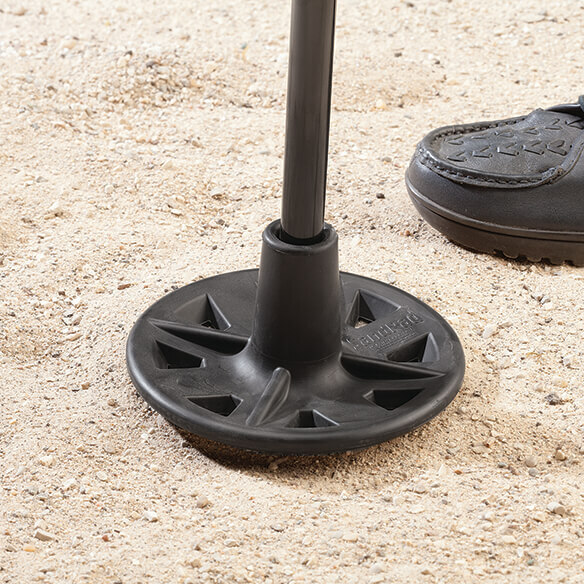 The SandPad™ Landpad All-Terrain Stabilizer adds a wide base of stability to every step, giving you the support you need to navigate grass, sand and other outdoor surfaces. Bottom helps your cane stand on its own so it's always within easy reach. Fits on canes or crutches up to 1" dia. 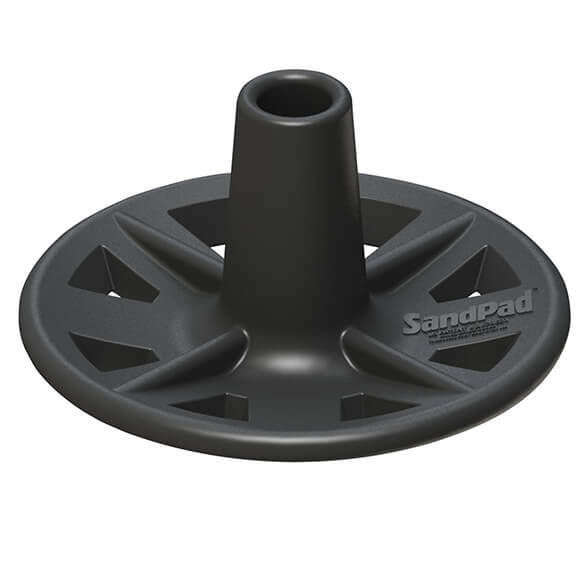 ; for smaller diameter, wrap cane tip with included tape before attaching SandPad™.